EAS Consulting Group has the vast expertise through is technical staff and over 150 Independent Consultants to provide assistance to food manufacturers by partnering to evaluate current food safety, food defense, food labeling, operational and formulation/ingredient/packaging programs and determine regulatory “risk”. In addition, EAS offers rapid response capabilities when a food manufacturer finds themselves under local, state, FDA, USDA or EPA scrutiny or regulatory actions. EAS specializes in all types of regulatory services related to food production and processing and has unique capabilities with beverage (including bottled water), seafood, infant formula, medical foods, all types of dairy products as well as animal feed and pet foods. EAS capabilities extend to food additives including GRAS and FCS assessments, feasibility studies and full GRAS and FCS notifications to FDA and USDA. EAS offers expert toxicology and scientific consultation in the areas of food safety and compliance with conventional and organic foods as well as food derived from biotechnology. Finally, EAS’ FSPCA-recognized “Lead Instructors” can assist and guide both domestic and foreign food manufacturers and their US-based FSVP Importers in complying with all parts of the FDA FSMA regulations. Some examples of EAS FSMA compliance services include on-site operational assessments, desk reviews of written food safety and operational programs, assisting in the writing or updating of FSMA compliance and general food safety programs, serving as a US FSVP Importer’s “Qualified Individual”, conducting supplier verification assessments, food defense challenge assessments, sanitary transport assessments, recall program assessments and full label reviews including all types of labeling claims. EAS also has experience in submitting to FDA and USDA requests for Temporary Marketing Permits, GRAS and FCS notifications, New Infant Formula notifications and APHIS animal and plant import permit applications are just some of the areas in which our compliance specialists provide expert assistance. If you would like additional information or discuss how EAS can help your firm please contact us! Review of all stated and implied claims, the safety of ingredients, compliance with food standards of identity, front-of-pack labeling etc. design clinical studies to substantiate label claims. The safety of the U.S. Food Supply requires close coordination between food manufacturing and processing facilities, carriers, retailers, and FDA. 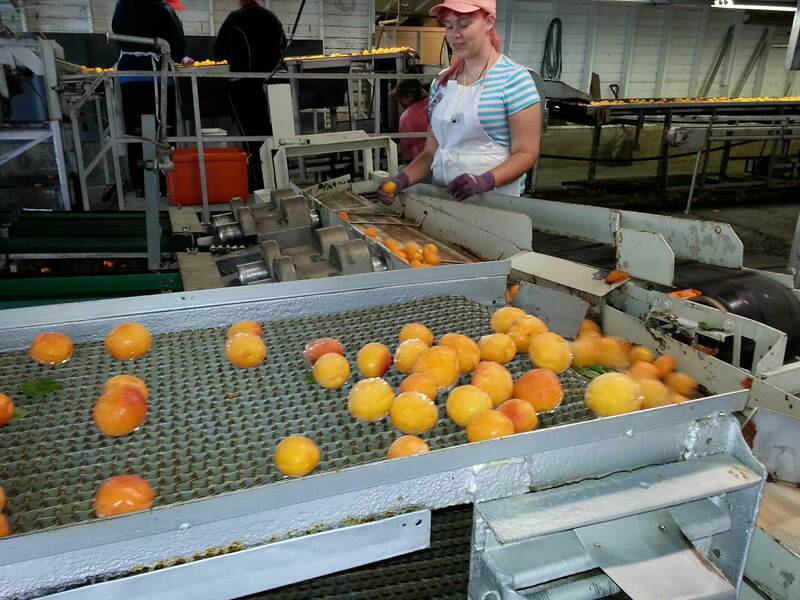 As part of the Food Safety Modernization Act (FSMA), both domestic and foreign companies are required to address vulnerabilities in their operations in order to prevent any nefarious acts which could cause large-scale harm against the U.S. food supply, creating a Food Defense plan. Third party accreditation auditors to conduct food safety audits and issue certifications of foreign facilities which supply food for human and animal consumption. Establish and maintain appropriate record keeping protocols including the written food defense plan; records documenting monitoring, verification activities and corrective actions, and documentation related to the training of personnel. FDA has oversight of the safety of bottled water sold in the U.S. This includes Good Manufacturing Practices (GMPs) specifically designed for bottled water and covering processing, bottling, holding and transporting under sanitary conditions. This ensures bottled water is free from bacteria, chemicals, and other contaminants. FDA monitors and inspects bottled water products and processing plants under its food safety program ensuring the plant’s product water and operational water supply are obtained from an approved source; inspects washing and sanitizing procedures; inspects bottling operations; and determines whether the companies analyze their source water and product water for contaminants. EAS offers expertise in the area of bottled water with a keen eye to the specific requirements of this industry. We assist with bottled water bills, assessments of product and manufacturing safety and offer peace of mind that this highly regulated product is being manufactured in accordance with strict GMPs. EAS serves dairy and infant formula plants and processors offering in-depth regulatory compliance assistance pertaining to regulations covered by the state, FDA and USDA Agricultural Marketing Service requirements. EAS’ services to the dairy industry include all applicable requirements of the FDA Food Safety Modernization ACT (FSMA) regulations as well as a number of the Global Food Safety Initiative’s (GSFI’s) Third Party Certification schemes such as Safe Quality Foods (SQF), British Retail Consortium (BRC) and Food Safety System Certification (FSSC) 22000 as well as current food Good Manufacturing Practices (cGMPs) and Hazard Analysis and Critical Control Points (HACCP) /Hazard Analysis and Risk-Based Preventive Controls (HARPC). EAS experts provide a detailed analysis of a firm’s state of readiness as well as thoughtful and practical strategies for improving compliance. FDA is responsible for ensuring that the nation’s seafood supply, both domestic and imported, is safe, sanitary, wholesome, and honestly labeled. Efforts to that end include Hazard Analysis and Critical Control Points (HACCP) regulations, the National Shellfish Sanitation Program and other FSMA guidances. EAS experts in seafood assist our international client base with all matter of safety and GMP regulations as well as import assistance as required. Seafood HACCP regulations require importers of certain seafood products to comply with requirements designed to help ensure that these imported products are processed in accordance with the seafood HACCP regulation. FSMA offers some exemptions related to the seafood HACCP regulation. EAS helps seafood processors, transporters, holders and manufacturers to understand and comply with required regulations facilitating a safe product for consumers. Seafood fraud is essentially economic fraud that can occur at multiple points along the seafood supply chain. It includes mislabeling or other forms of deceptive marketing with respect to the quality, quantity, origin, or species (i.e. species substitution), as well as the most common form “short weighting”. EAS offers assistance with countering again victimization of seafood fraud through our audit program whereby we audit supplier documentation, bills of lading and through other means.